This otter begins to appreciate the chaotic order that plants demonstrate so well. § 2 Responses to Twists and turns. Thank you. 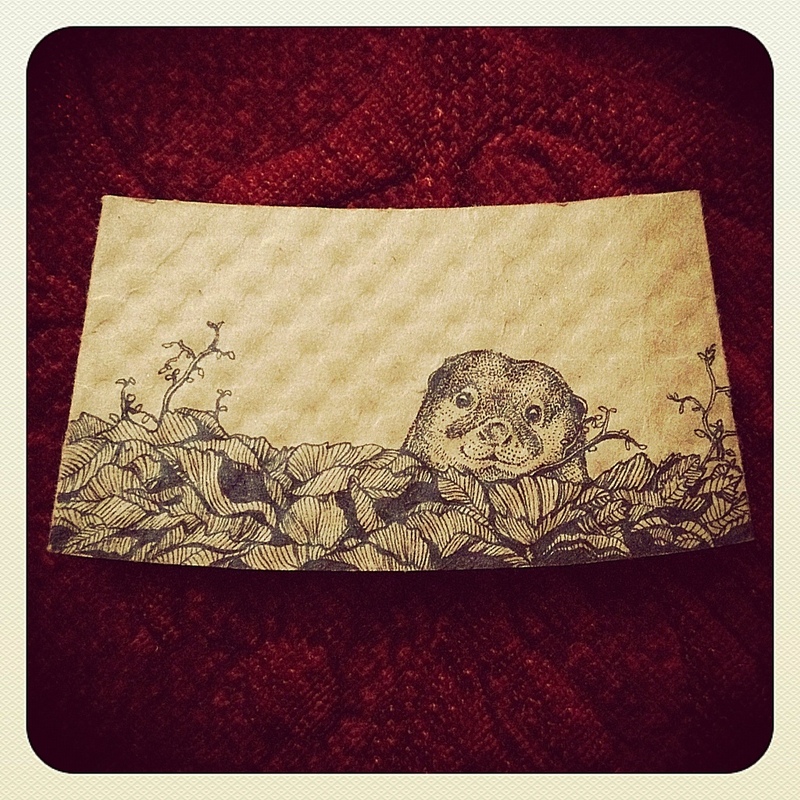 Your otter pic was key in this piece. You are currently reading Twists and turns. at Kevin drawing on napkins.